We wish all our readers Merry Christmas and a prosperous new year. The telecom sector has been buzzing with developments but we haven’t been able to report them because of other interesting things happening in our life. But the good news is that Tele Gyaan will be back soon with a lot of fresh content, exclusives, features and much more to make you happy. So stay tuned! 2009 is going to be an exciting year. PS: If you wish to see something specific in Tele Gyaan, let us know in the comments. 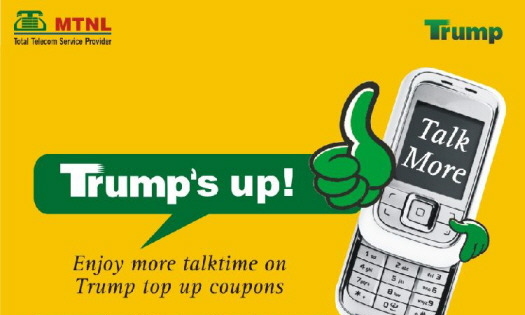 MTNL has introduced a limited period offer for its Trump users. Now with every top-up recharge of Rs 300 and Rs 500, it is providing more talk-time then was initially offered. Against a top-up of Rs 300, it is providing a talk value of Rs 300 which is 12% more than the previous value of Rs 267. Similarly for a top-up of Rs 500, users now get a talk value of Rs 525 which is 18% more than the previous value of Rs 445. Moreover, during this limited period, MTNL is also providing Trump subscribers a chance to win upto 250 gms of gold if they recharge with Rs 300 or more. It’s been about a year since TRAI, the telecom regulator, has asked operators to reduce SMS charges. However, with the Telcos not doing much about it, the regulator is all set to take some action, if the operators turn a deaf ear this time around. Apart from this, TRAI is of the view that the Indian user is being exploited on the ‘calling’ front. Users have been complaining of calls getting cut due to network problems and thus having to pay for a whole minute even if the call lasted for 10 seconds. The regulator is all set to put pressure on the Telcos, which eventually lead to SMS charges witnessing a decrease and operators taking necessary steps to strengthen their connectivity. If this is not possible we might see some operators reducing pulse rate, which currently stands at 60 seconds. This has been done by players like BPL, who had a one second pulse rate i.e. you are only charged for the number of seconds you spoke. On the whole, the future looks bright and cheap for the Indian users. Clearing the air of speculations, the ministry also clarified the criteria for foreign players to bid for spectrum. Companies can bid as 100% entities, but will have to partner with an Indian company to the extent of 26% – Indian cos. share, before it launches its services. On the whole, this plan looks great and quite pocket friendly. So, if you have a bunch of friends who use Trump/Dolphin, tell them about this group plan and save some money. MTNL is all set to launch the much awaited 3G service on the 11th of December i.e. tomorrow. Mr. Manmohan Singh would do the honors, with the service being launched first in the capital which will then be followed by Mumbai. The service comes a month prior to the auction, in which private players would face off for the spectrum allocation. Users will be able to experience speeds of upto 2Mbps, much higher than those currently being offered – upto 140kbps. Next service operator expected to follow suit will be BSNL. As for the prices, it is being expected that there will be no charges for the first couple of months except the data transfers. Data transfer is expected to be charged at 2 paise per KB. However, the pricing report is unconfirmed so it would be better if we leave this thing for tomorrow. Another important point to note here is that the launch will be a pilot test for private players, who would be planning to bid for the same. A good base for the private players to know how the market will react to the service at a particular price point. Unitech Wireless, a part of real estate giant Unitech has received initial spectrum for its services in 16 circles of the existing 22. Considering the specifics of the allocation, the operator has been allocated 4.4 MHz of spectrum in the 1,800 MHz GSM band, which has chalked out plans to launch services by mid-09. The company is currently arranging finances to start up operations in full swing.